Police have shot three people and a police hire car burnt to ashes whilst a police officer is in a critical condition at the Modilon General Hospital in Madang following a conflict at the Transgogol area after a teacher was killed last week. ACP Northern Command Peter Guinis said as of this morning more than 1000 men mobilized and attempted to walk to the town area but were intercepted and stopped by police and local member Bryan Kramer. ACP Guinis said the whole township of Madang is without water supply since Sunday after angry locals mobilized and damaged the main water source that supplies water revealing that the damages will cost K2million to fully repair. He said police are on the lookout following this incident to ensure no more harm will be done to state properties like the power supply and other facilities. Meanwhile, he said no suspects have been identified following the beheading of the Bau Primary School teacher at the 4-mile area in Madang last week. ACP Guinis said this incident has sparked the whole tension currently in the Transgogl area. “With the beheading of the teacher the head has not been found living only the body sparking frustration from relatives of the deceased “he said. He further stressed that police have begun a preliminary investigation into the incident adding that police are yet establish the motive however adds that the incident is believed to be a cult related movement. 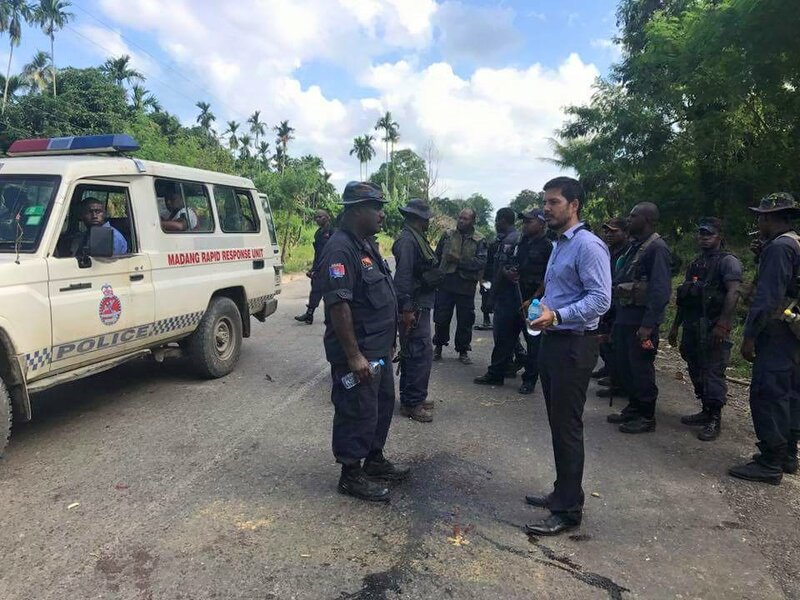 Guinis said that a mobile squad team from Lae are expected to travel up to Madang to assist with manpower, as the situation is tense at the moment. He called on local leaders in Madang to support their members take responsibility in sorting out the conflict in the province. “Leaders in the LLG’s must not look at members only to sort this, they must work together with members to sort the issue affecting the province”, he said. He said Madang is a peaceful place and such conflict has diminished the good reputation of the province adding that leaders must sit together in a round table to discuss and settle the conflict.